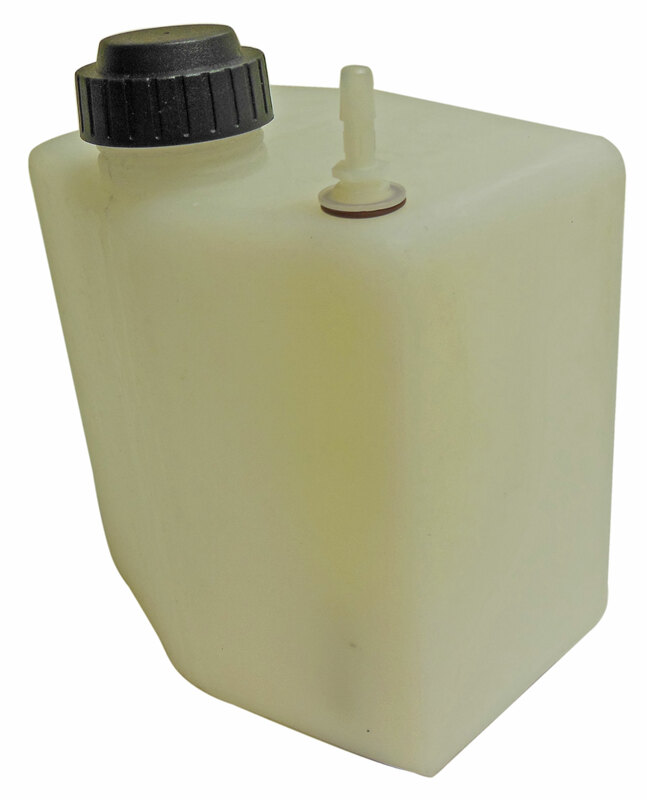 GMan Plastic 2qt tank with top feed fuel line for gasoline or methanol. 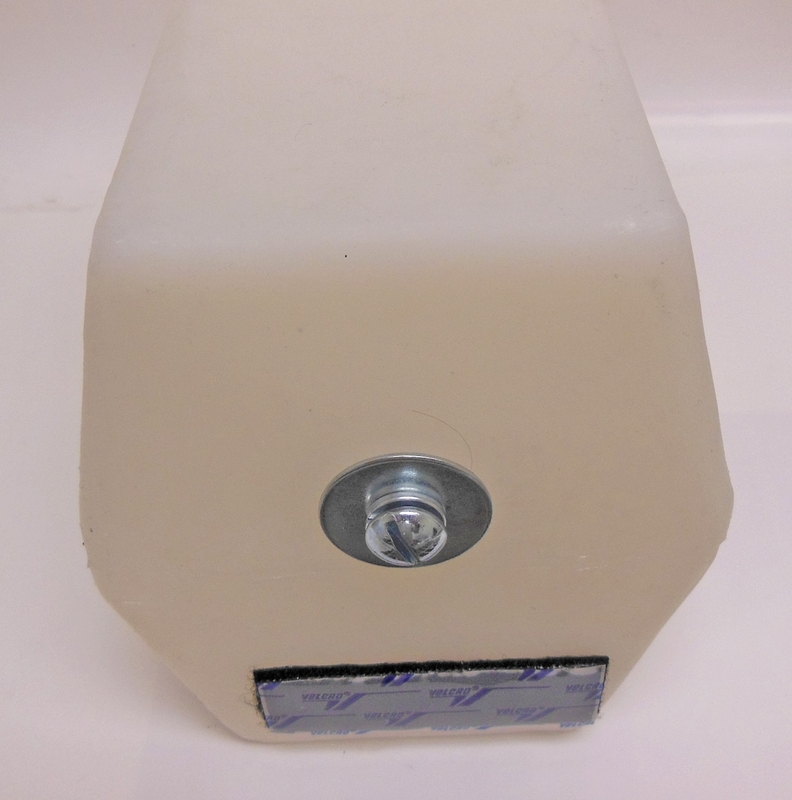 Bolt and Velcro patch secure the tank to the floor pan. Tank Drain Fitting 1/8'' P.T.